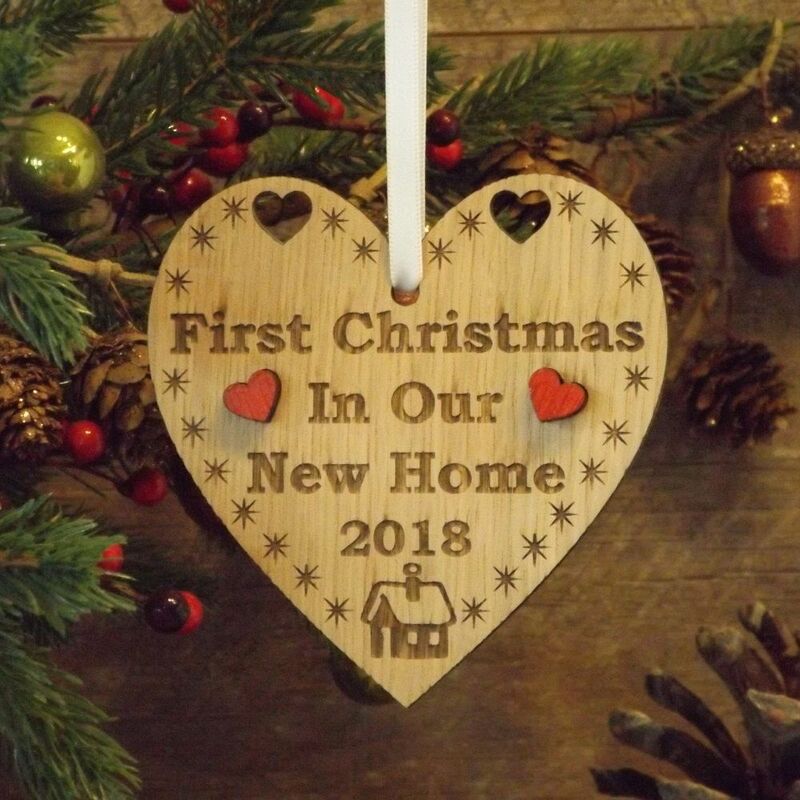 The perfect gift and memento to celebrate the 1st Christmas in a New Home! 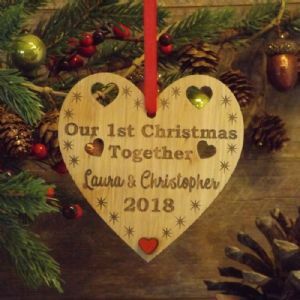 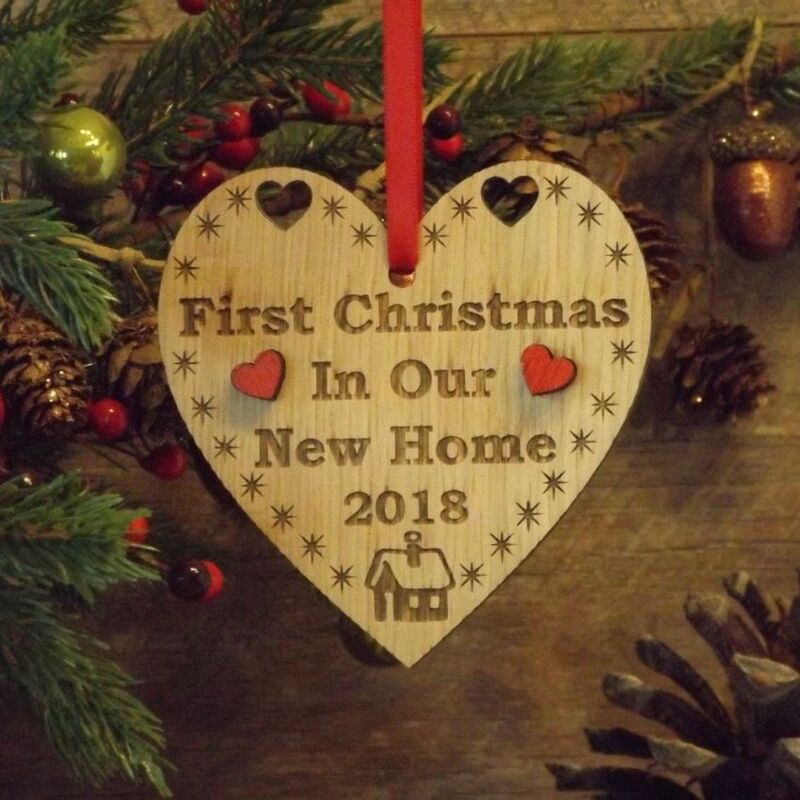 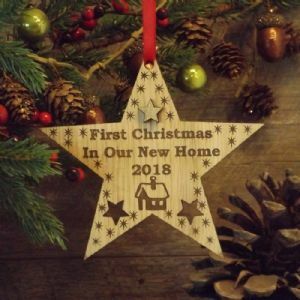 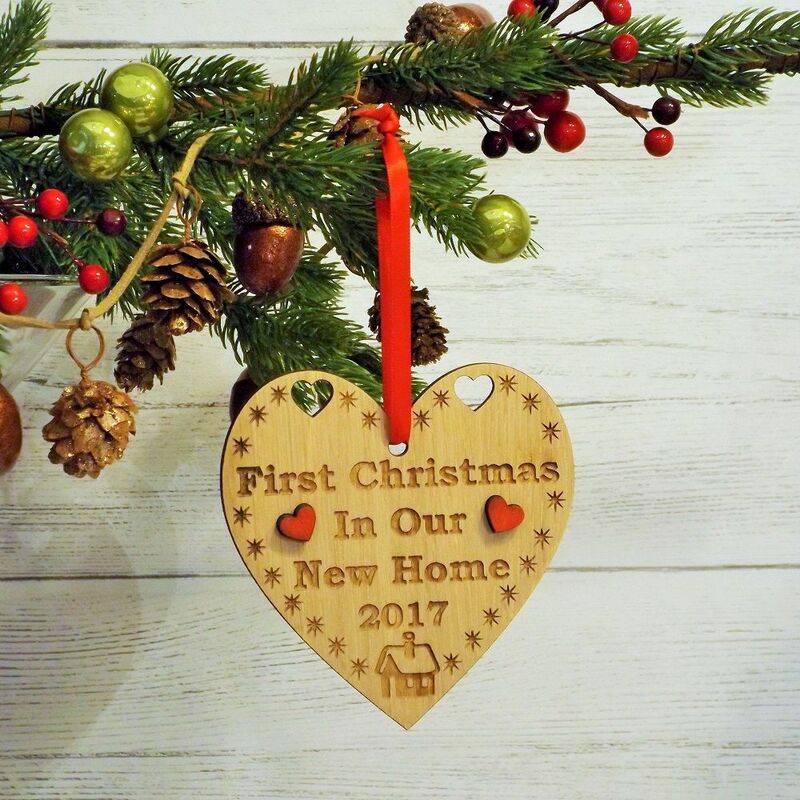 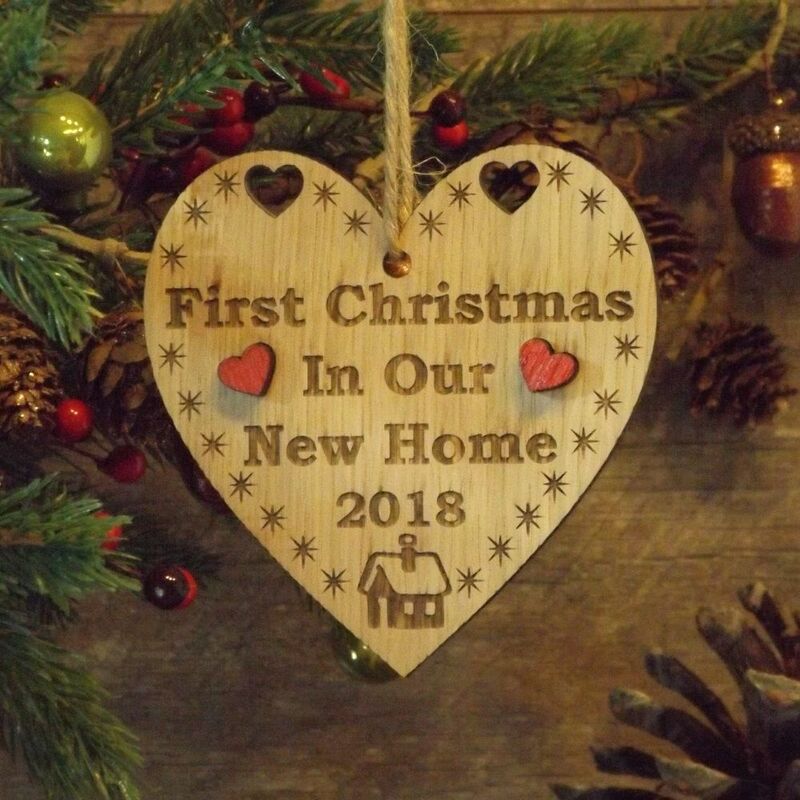 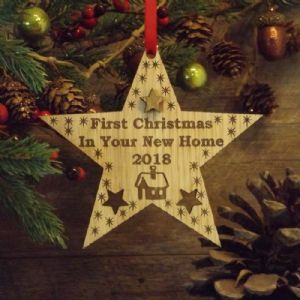 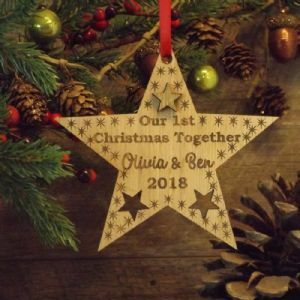 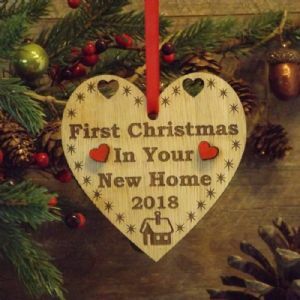 Our beautiful rustic wooden heart decoration features the wording 'First Christmas In Our New Home' and can be personalised with the year of the first Christmas. 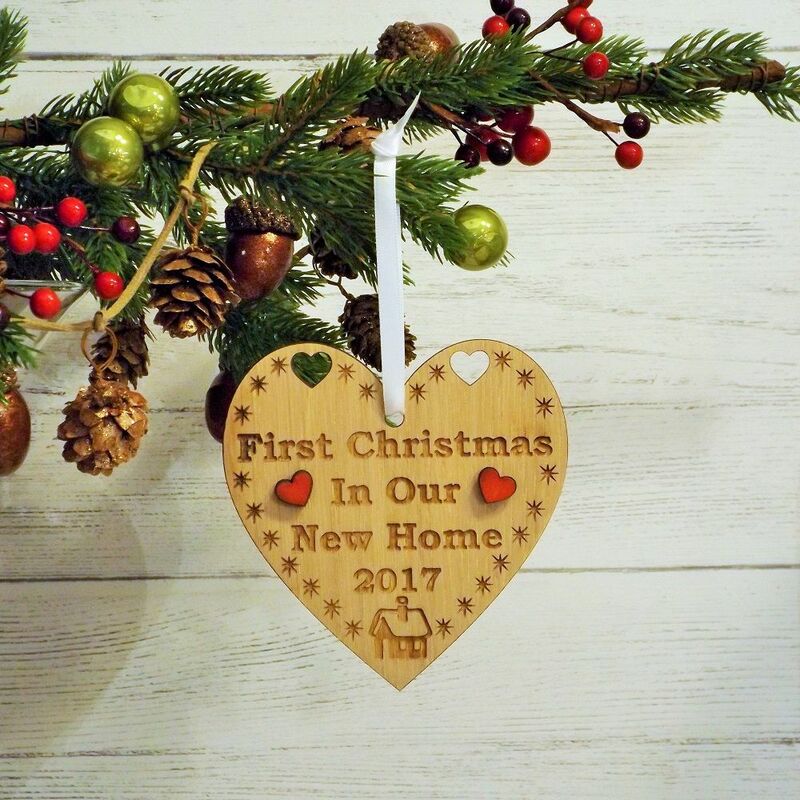 Made from oak veneered wood the heart features a pretty design with two cut-out hearts, two raised handpainted red heart embellishments and a cosy home image.